Created in 1977, today the DELTA PLUS group is a worldwide located on the 5 continents. It has been listed on the Paris Euronext® stock exchange since 1999. 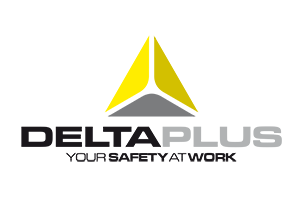 DELTA PLUS group completes the whole production line, from design to distribution, via manufacturing and logistics management of its full range of Personal Protective Equipments (P.P.E.). » head protection : Respiratory masks, noise protection, safety helmets, glasses, visors, welding protection. » hand protection : High Tech covered knitted gloves, latex and synthetic gloves, leather gloves. » body protection : Cold and wet weather protection, freezerwear, workwear, high visibility clothing, disposable clothing, chemical and fire protection clothing, forestry clothing. » foot protection : Work and safety shoes and boots. »fall protection : Harness and fall protection systems. Full access to this range is garanteed to DELTA PLUS’ customers through each one of the group’s 20 subsidiaries. This full range is a much-appreciated alternative to suppliers of partial solutions who only cover a limited range of professional risks. DELTA PLUS offers merchandising solutions and sales tools (POS promotion, POS information …) for the professional distribution. Thanks to technology transfer inspired by sport and leisure and to the continuous innovation of the expert business units, wearing a DELTA PLUS PPE becomes a pleasure and no longer a constraint.